LAS VEGAS (KTNV) — The Federal Aviation Administration is investigating a reported drone sighting which prompted a warning to several tour helicopters flying above the Las Vegas Strip. Air traffic control radio transmissions reveal a tour helicopter pilot noticed the drone flying approximately 500 feet below his aircraft around 7:00 p.m., Tuesday. Maverick 38: "[Las Vegas] Tower, be advised, they're flying a drone right below me over the freeway between Aria and Panorama Towers"
The area is heavily congested with traffic on I-15 and tour helicopters use the same corridor above I-15 to land at McCarran International Airport. 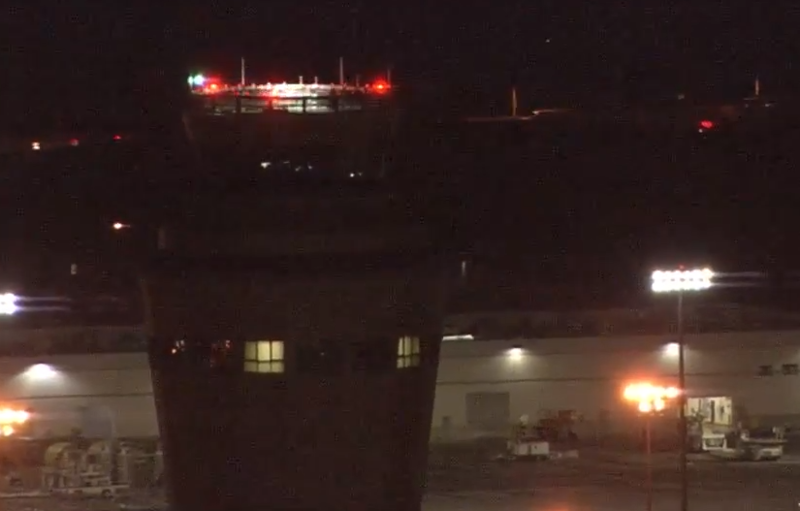 The controller in the McCarran tower immediately asks the pilot additional questions, according to radio transmissions. Las Vegas Tower: "You said how far it was below you?" Maverick 38: "If I had to guess, I would say 500 feet." "It is very concerning to me as a pilot and as a drone pilot," said Dr. Chris Walach, the Director of the FAA-designated NV UAS test site. Dr. Walach says whoever flew the drone was likely violating a number of rules in highly restricted airspace. “It’s unexpected, you do not expected that a drone is going to pop out of the sky where is not supposed to be.” said Dr. Walach. The FAA says they can and do grant waivers with prior approval for drone operations near an airport in what is considered Class B airspace. For McCarran, the highly regulated Class B airspace extends in roughly a 6 mile radius from the airport. "It doesn't matter if you request permission as a drone pilot, you are not going to be allowed that close to the end of the runway and particularly right off the Las Vegas Strip," added Dr. Walach. A spokesperson for the FAA confirms there is an active investigation into the incident but could not provide additional details. "I think what goes through any pilots mind, at a point like that, you want to make sure it's not coming after you especially in a helicopter where you have rotor blades that you don't want impacted," said ABC News Aviation Expert Lt. Colonel John Nance. Nance says if the operator is found they could face stiff penalties. Drones have come under fire before in Nevada, as recently as this year , when an airliner came dangerously close to a drone while on final approach to McCarran. Experts say it is estimated drones violate airspace rules and regulations once every 7 hours across the United States. A Maverick helicopter spokesperson declined to speak about the drone sighting.